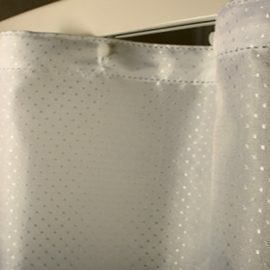 100% Polyester 150 Denier Ribbed Water Repellent constructed with a reinforced heading, reinforced with a strip of no tear buckram, with sewn eyelets and bead weighted bottom hems. 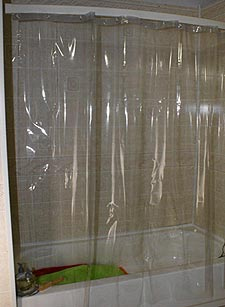 Liner recommended with all polyester shower curtains for longer wear. Machine Wash and Dry. 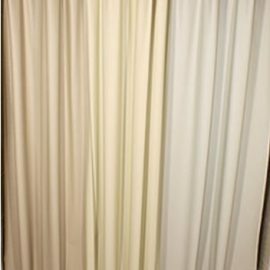 100% Polyester Heavy 300 Denier Box Weave constructed with a reinforced heading, reinforced with a strip of no tear buckram, with sewn eyelets and standard water repellent coating. 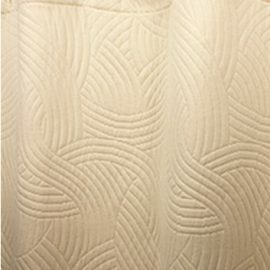 This is a decorative shower curtain and a liner is recommended. Machine Wash and Dry. Our Most Popular Vinyl Liner. 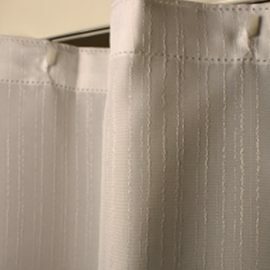 Perfect for protecting your shower curtain or can be used as a stand alone curtain. 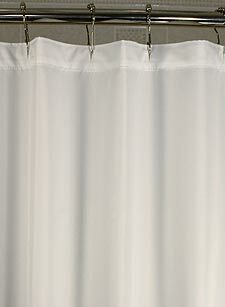 Ideal for unlit bath and shower areas. Washable. 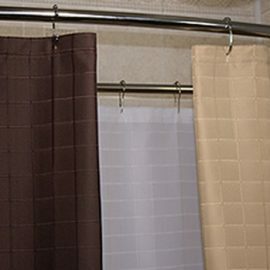 Custom Length or Width: Custom size shower curtains are available! Please contact us for pricing for custom width and/or custom length. 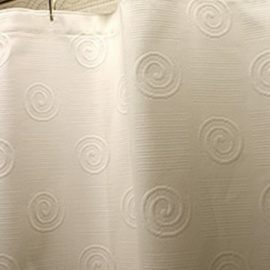 Taffeta Embossed heavy gauge vinyl with reinforced heading, bacteria free and mildew resistant, rust proof grommets heat fused sealed hems and bead weighted bottom hems. Machine Wash and Dry.